Traumatic facial paralysis occurs when the facial nerve is injured due to trauma to the head and/or face. Severe head trauma can lead to brain injury which can affect the facial nerve fibers as they course through the brain and brainstem. 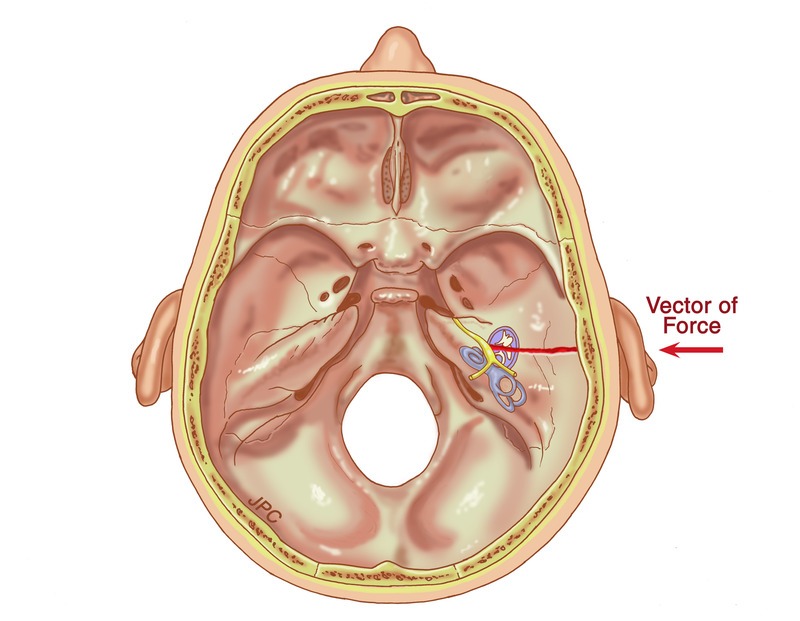 A fracture through the temporal bone, the bone which houses the middle and inner ear, can also fracture the bony canal of the facial nerve. A bony fragment can tear or bruise the facial nerve or compress the nerve to the point where it becomes nonfunctional. In a similar fashion, a gunshot wound through the temporal bone can also harm the facial nerve. 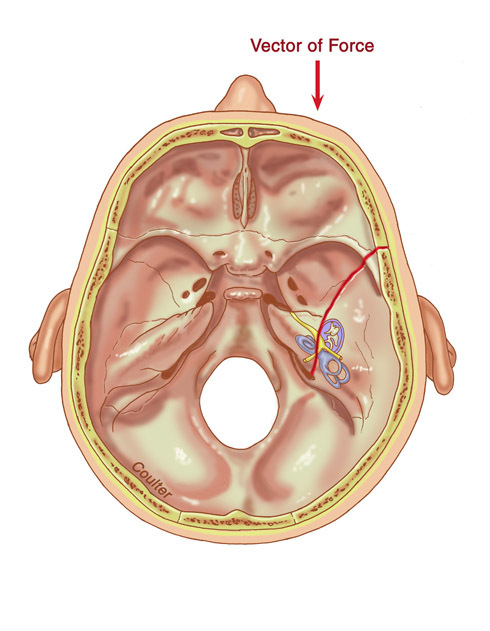 Additionally, lacerations of the face, especially in the region of the parotid gland, can divide the main trunk or branches of the facial nerve on its way to the facial muscles.